Devoted residents attract even more people to Vansbro Municipality. Like many other rural municipalities, Vansbro works hard to attract new residents, and has done so successfully. In 2016, the population grew strongly, which among other things has led to the beginning of several private construction projects. The population of Vansbro Municipality grew steadily during 2016, resulting in rising home prices, and the pleasant problems of a shortage of both housing and labor. For the first time in many years, new municipal single-family plots are now being planned, and several private construction projects began in the past year. The municipality’s total unemployment is also among the lowest in the country. In Vansbro, there is a rich cultural and sports life, and beautiful, nearby nature with possibilities of exercise and recreation, hunting and fishing and berry and mushroom picking. There is also great devotion among the municipality’s residents, which can be seen at the large annual events and in the rich association life. A municipality that invests in young people. Vansbro Municipality has a rich and well-developed business community. There are around 500 active companies in the municipality, which contributes to a good climate for businesses. Industry, retailing and service are a few areas of strong development. The municipal business association supports young entrepreneurship at the local high school and arranges the local inventor and idea competition Vilda Vansbro Vinkeln for grade school students. The municipal business association also has the Vansbro Next project where companies support young talents from the area under a shared brand. “Every year, around 16,000 people participate in the various competitions”. 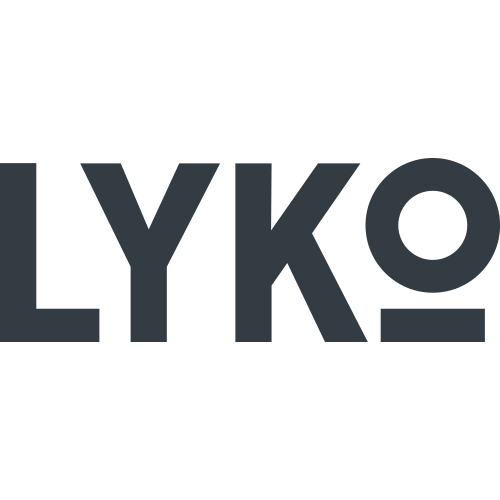 Lyko has taken e-commerce to a new level. Vansbro is home to the successful beauty chain Lyko, with an exciting history to say the least. Lyko is the beauty website that has reaped great success in recent years, much because of their fast and well-liked online shop. Lyko is a pioneer for a new e-commerce framework called Scope. By using technology developed by Facebook, the site becomes incredibly fast and usable even during poor network conditions like on a train or a plane. Vansbrosimningen is Sweden’s largest, as well as Europe’s largest, open water swimming competitions. Every year, around 16,000 people participate in the various competitions held during one week in July in Vansbro’s summer heat. Vansbrosimningen is a popular festival for both participants and spectators. Besides the open water swimming competitions there are also triathlon, swim-run and country road cycling challenges.